Round bars are metal bars with a round base. 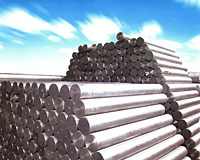 Continental Steel stocks round bar diameters ranging from 1/16” inch to 5 ½” inches. They come in a number of metals, including aluminum, titanium, stainless steel alloys, and more.